Tickets for the June 22nd show go on sale tomorrow. The $2.4 billion casino resort opened earlier this month. Just in case you were wondering, the 5,500-seat arena inside Revel will be christened by Beyonce with concerts on May 25th, 26th and 27th. The last time the world’s most prestigious mixed martial arts promotion held an event in “Las Vegas of the East” was in June of 2005. 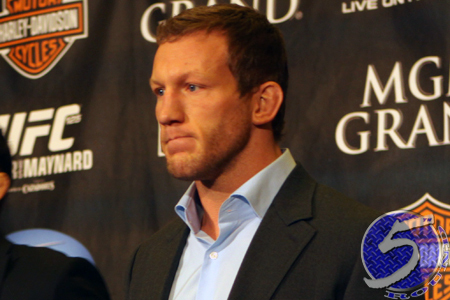 Former lightweight top contender Gray Maynard (Pictured) and Clay Guida serve as the featured attraction in the UFC’s latest show in Atlantic City. The 155-pounders will battle in a five-round affair. FUEL TV broadcasts the main card live at 9PM ET/6PM PT.